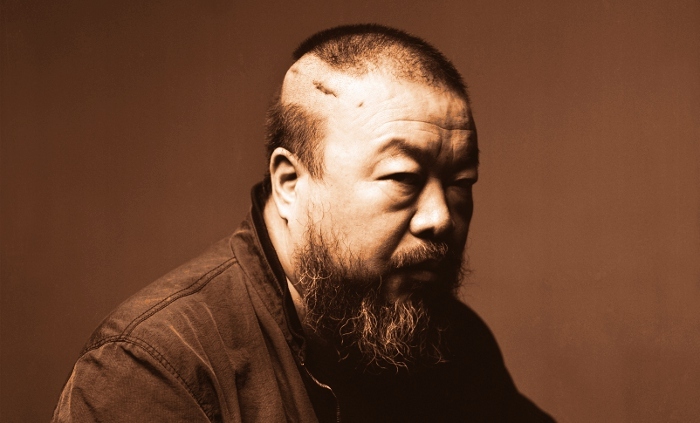 As a sculptor, photographer, documentary filmmaker and political whistle-blower, Ai Weiwei has become one of China's most salient and outspoken figures. He began blogging in 2005 and joined Twitter several years later, using both platforms to increase public awareness of government corruption and the unfair treatment of Chinese civilians (including himself). 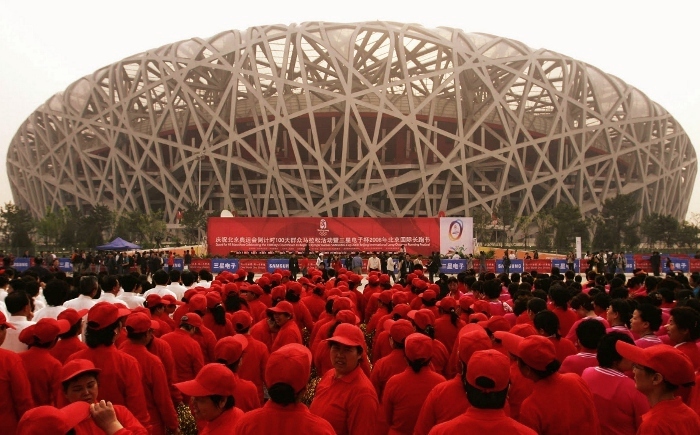 Both were fueled by the government's response to the 2008 Sichuan earthquake (which caused over 5,000 casualties, including many students in poorly-built schools) and the rug-sweeping portrayal of China during that year's Summer Olympics in Beijing. Art remains his passion, whether it's through images he creates or the "performance art" of his friction with authority figures. While en route to testify at the trial of earthquake activist Tan Zuoren, Weiwei and company were harassed by police and later confronted in their hotel room. During an audio recording from his documentary about the earthquake, Weiwei was assaulted and eventually needed surgery for a resulting brain tumor (at top). Yet, as most pot-stirrers will attest to, such a confrontation only fueled his desire to stay the course. Eventually, the rope got a little tighter: Weiwei's studio was placed under street surveillance, both via parked vehicles and video monitoring. Though he's been scrutinized for years now, Weiwei has successfully transferred this attention to the eyes of fans and followers worldwide. Alison Klayman's Never Sorry (2012) has a leg up on the competition while also working with a handicap: Weiwei is obviously a fascinating figure, but juggling so many parts of his life proves challenging at times. Pairing an overview of Weiwei's career with his legal turmoil sounds great on paper, but it's not organized tightly from start to finish. 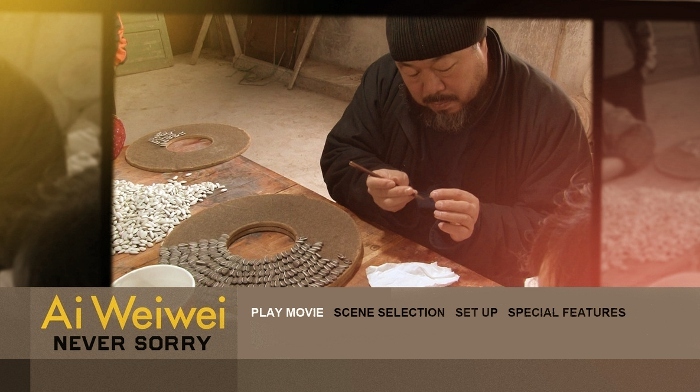 Luckily, the source material is compelling enough to forgive a few flaws, so those interested in Weiwei's story will enjoy what Never Sorry brings to the table. MPI's Blu-Ray offers plenty of support, serving up a strong technical presentation and several interesting bonus features. Presented in its original 1.78:1 aspect ratio, this 1080p transfer handles the limited source material well. Indoor interviews and photo replications fare the best with crisp detail, strong black levels and very few digital imperfections. Obviously some of the vintage video clips and guerrilla-style documentary segments look fairly rough around the edges...but with that in mind, there's little to complain about here. Weiwei is no stranger to memorable, provocative imagery and this project embodies that spirit consistently. HEADS UP: This images in this review are strictly decorative and do not represent Blu-Ray's fancy-pants 1080p resolution. The DTS-HD 5.1 Master Audio mix is another highlight, since most of the dialogue and street interviews would prove troublesome if not treated with care. Music cues are especially strong, both for their subtle dynamic range and the way they've been mixed into several channels on occasion. Overall, Never Sorry sounds a bit more impressive than your average documentary...which is surprising, since you'd think its visuals would be the focal point. For those who still can't make out portions of the dialogue, don't worry: optional subtitles are available in English (translation or full SDH), Spanish and simplified Mandarin. Seen below, the simple and efficient menu interface combines easy navigation with an attractive style. This one-disc release is housed in a standard-width keepcase with descriptive one-sided cover artwork. No slipcover or inserts of any kind are included. The Blu-Ray is locked for Region A playback only. Several fine supplements round out the package, leading off with an Audio Commentary by director Alison Klayman, editor Jennifer Fineran and co-producer Colin Jones. This is a predictably informative track, from production experiences to the initial meeting of "cast and crew". Never Sorry was obviously a story that the creative team was passionate about; from the sporadic shooting schedule to lengthy sessions in the editing room, many aspects of the overall filmmaking process are covered in various levels of detail. Also here is a casual assortment of Deleted Scenes (1080p, 40 minutes); most of this material is street footage of Weiwei as he travels in China and New York collecting research and meeting fans. 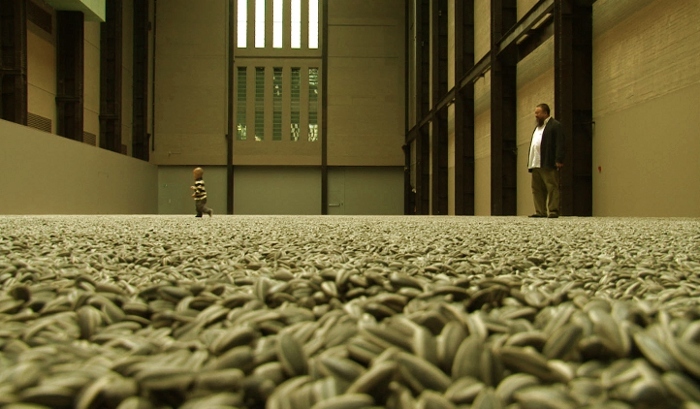 A few like-minded Interviews (1080p, 24 minutes) steer our attention towards Never Sorry's likable supporting cast, including Weiwei's mother, his studio manager, a Twitter translation team and several others, while the artist himself also discusses his "Sunflower Seeds" installation in London. Finally, the Theatrical Trailer (1080p, 2 minutes) rounds out the extras. Unlike the film, subtitles are included for translation only. Ai Weiwei: Never Sorry profiles one of the art world's most magnetic and rebellious figureheads, from his unique design sensibilities to his political ideals and "legal" controversies. It has trouble maintaining focus at times (largely due to the contrast between Weiwei's art and the friction created from some of it), but those new to the artist's work should thoroughly enjoy themselves. MPI's Blu-Ray is a surprisingly good effort, pairing a solid technical presentation with a satisfying collection of supplements. Cautious viewers should rent it first, but all other interested parties should consider a purchase. Firmly Recommended.